Scooper - Technology News: How can we save the poor from Latin America's informal economy? 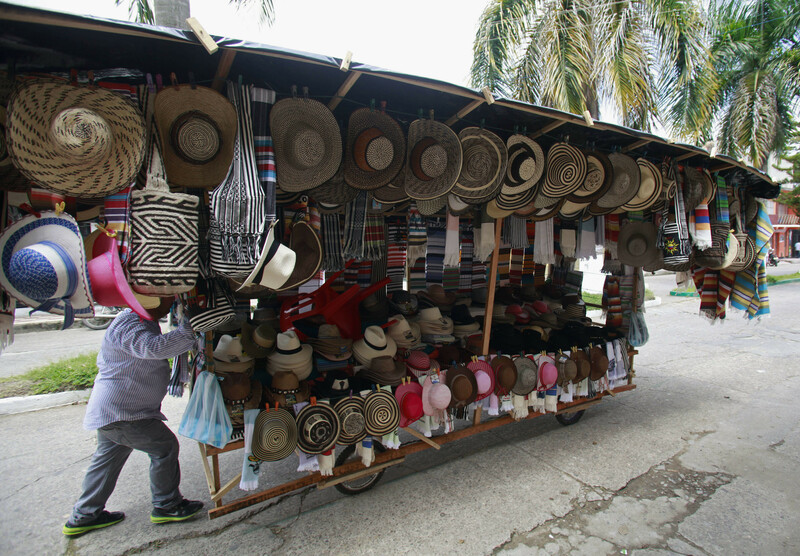 How can we save the poor from Latin America's informal economy? The informal economy - the part of an economy that is neither taxed, nor monitored by any form of government – is a growing problem in emerging markets. Whether measured as the portion of the workforce that does not comply with the labour, tax and social protection laws or people employed in low marginal productivity jobs, informality is high in Latin America and has been persistent throughout recent decades. The roots of informality – and the type - vary across the different countries in the region; the causes are complex and pervasive. The type of reforms required to tackle informality are typically politically unappealing. In the best cases, procrastination and gradualism occurs. · Digital payments, which increase security, reduce costs and allows for family solidarity. · Insurance, which allows for risk management, protecting people from events that can significantly affect income and expenditures. · Some types of insurance, such as funeral insurance, are particularly important for low income families. · In rural areas, any mechanism that protects harvests is fundamental and its existence automatically improves access to credit. · Pension funds or any type of saving mechanism for the elderly reduces a person’s vulnerability and burden on their children. · Credit allows an agent to handle liquidity constraints without excessive costs that could affect their solvency – as is usually the case with informal credit providers. These are only examples of how formal financial services have the capacity to reduce vulnerability. Part of the problem derives from the reinforcing mechanisms of vulnerability: an informal worker suffers an accident and their income is affected, affecting in turn their capacity to sustain their children’s education, in turn reducing the chances of the child escaping the informal economy. Formal financial services are designed for formal clients, and again this leads to a negative cycle; controls have been set with such zeal that the financial sector is limited in its capacity to serve as a powerful instrument of welfare improvement. In extreme cases, certain controls have been tightened to a point in which financial services can only benefit those who have less to gain from them. This contradiction can be solved. The reason why people become stuck in the informal economy is a lack of information. However, the revolution of digital could change this. Digital payments allow the financial institution to estimate the client’s level of income, pattern of expenditure, liquidity, and his or her creditworthiness. This data is richer that what a formal worker can usually provide a financial institution with and, if used adequately, opens the door to many services beyond credit. Financial inclusion cannot and will not solve the labour market problems that the Latin-American region suffers from, but it’s able to “skip” one logical step and reduce the informal population’s vulnerability. This should not therefore be seen as a backdoor entrance to formality. It may not change the “informal” status of a worker, but it can reduce many of the costs of informality. Our countries face tremendous challenges in reforming their labour markets in order to reduce informality throughout the region. Financial reform on the other hand faces less resistance, in particular since it is viewed as client-friendly regulation. In that sense, financial inclusion promises to be an efficient mechanism to provide the informal community with some of the benefits of the formal economy, while more structural reforms can be created. Have you read? How can we make our banks more resilient? Why it's time for intelligent austerity in Latin America Why is middle-class growth in Latin America slowing? This blog is part of a series of articles published ahead of the World Economic Forum on Latin America 2016 , taking place from 16 to 17 June in Medellin, Colombia.